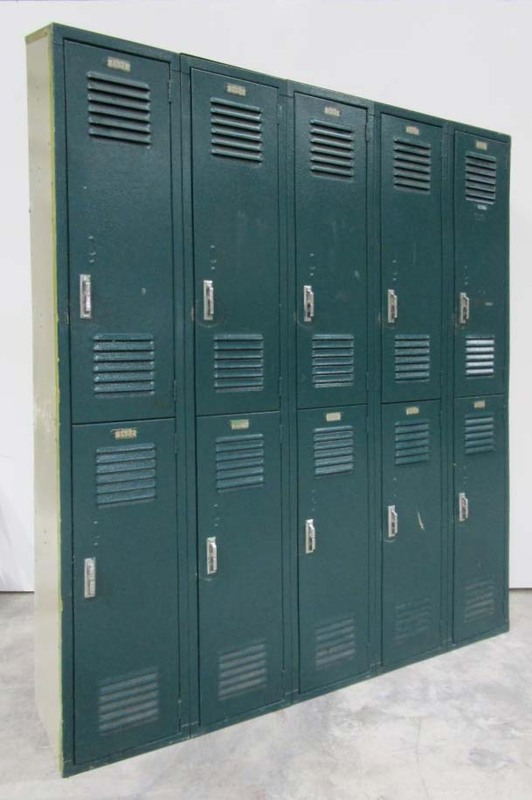 These Vintage Metal Lockers for Sale are available on www.buyusedlockers.com where they have a huge selection to choose from if we need additional supplies. 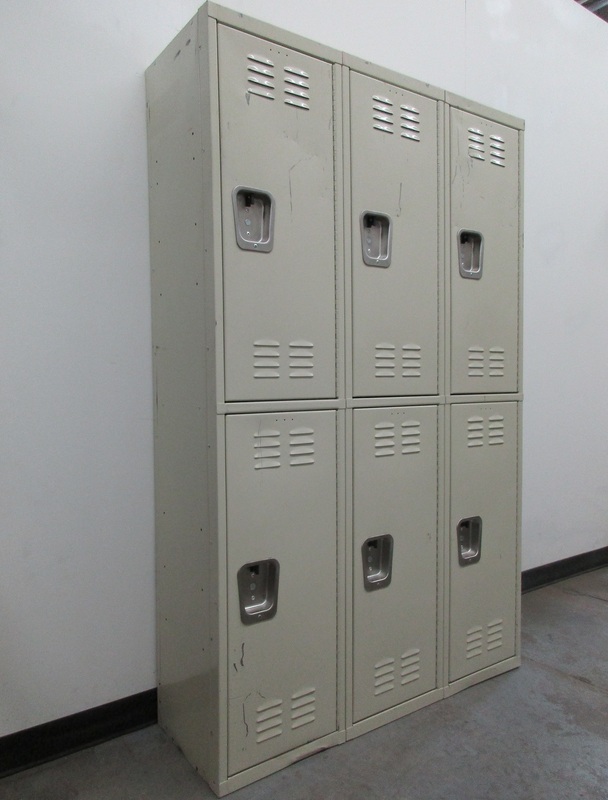 These unique, vintage double tier lockers have one small compartment that is 12" wide x 15" deep x 12" tall on top of a large compartment that is 12" wide x 15" deep x 60" tall. The small compartment could be used for shoes, keys, purses and the large locker could be used for clothing, books, and backpacks. They were painted by the previous order and are in good working condition. Each compartment is lockable with a padlock. They ship to you fully assembled and arrive ready to use.